Have you ever heard yourself saying, “This is the worst allergy season ever!”? If that statement sounds like you, then watch this video and read this blog. Two tips to help you beat allergy season naturally. Keeping your adjustment schedule during allergy season is critical. Any stress to your spine in the upper back and neck area can effect how your body adapts to the pollen in the air. Your body becomes more hypersensitive resulting in a release of more histamine. 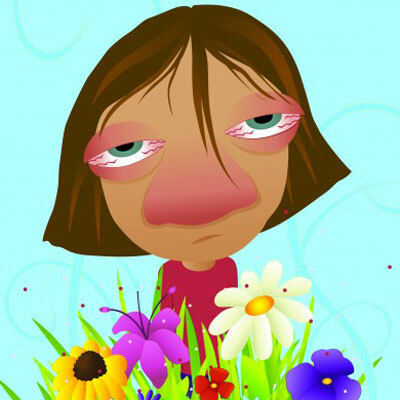 Histamine is what causes all those symptoms that make you miserable during allergy season. Itchy, watery eyes, sneezing, congestion, scratchy throat and post nasal drip. Talk about not fun! This is the time of year you should be outside as much as possible, not hiding inside because you feel so terrible. Keep your spine well adjusted so your body has the best chance to fight off the symptoms of allergies. My favorite nutritional supplement for allergy season is a product called Sinuplex, by Metagenics. Personally, as allergy season approaches I take one of these a day. When allergy season is in full swing I will go up to 2-3 day. This is an all natural supplement so there are no negative side effects to worry about like there are with over the counter and prescription medications. If you are in need of help to beat allergy season naturally this year, give me a call at 773-545-9379, I would love to help you!